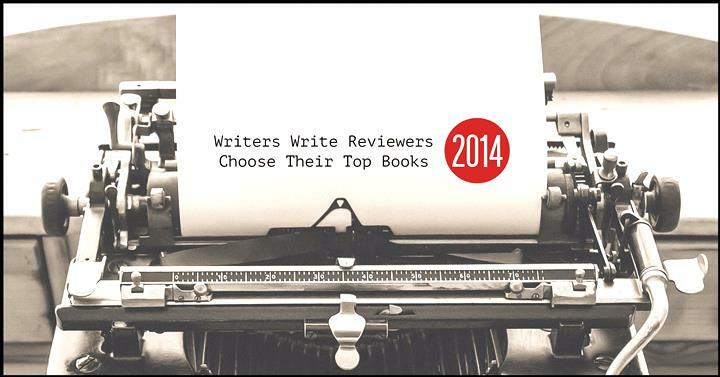 We asked our regular book reviewers to send us their top five reads of 2014. It’s interesting to see their choices from 2013 and 2012 as well. The choices are as eclectic as the business of publishing. Our favourite books were The Good Luck of Right Now by Matthew Quick with three appearances, and The Circle by Dave Eggers and Shotgun Lovesongs by Nickolas Butler, with two appearances each. If you want to follow our reviews, please ‘like’ our book review page on Facebook, The Bluestocking Review. Please share your favourite five books in the comments section below. The Good Luck of Right Now by Matthew Quick (Picador). 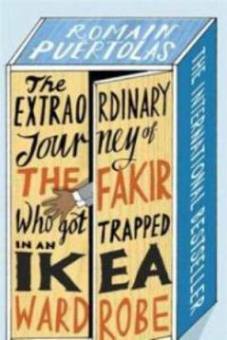 This was my favourite book of 2014. Bartholomew Neil’s mother always loved to celebrate the little things and she had a gift for making the ordinary extraordinary. She believed in the good luck of right now. How will Bartholomew make sense of her death and find meaning again? Read it. It’s worth every word. Saints of the Shadow Bible by Ian Rankin (Orion). John Rebus has come out of retirement. Rankin, my favourite crime novelist, has crafted a brilliant crime novel with interesting topical threads. 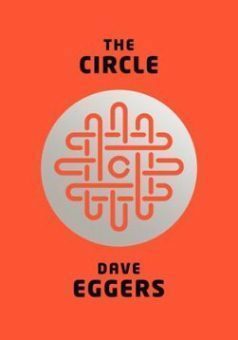 The Circle by Dave Eggers (Hamish Hamilton). This is Aldous Huxley’s Brave New World filled with too much information, coupled with George Orwell’s ‘Big Brother’ from 1984. This dark satire is thought-provoking, well-written and worth reading. The Circle is probably just around the corner. Little Lies by Liane Moriarty (Penguin/Michael Joseph). This is part suburban mystery, part women’s drama and completely compulsive reading. I loved this witty, clever novel. Incognito: The Memoirs of Ben Trovato by Mark Verbaan (Macmillan). Reading this memoir felt like drowning – in a good way. I went on a journey to a place I had almost forgotten. My memories of South Africa in the 1970s and 1980s range from black and white snapshots to garish Polaroid blurs. My emotions are varied, bruised and confused, much like the author’s. Highly recommended. The Circle by Dave Eggers (Hamish Hamilton). I think is my favourite book of the year. It’s like reading George Orwell’s 1984. It’s so ludicrous it’ll never happen, right? Right? When Mae is hired by the most powerful internet company she is thrilled. It is a company that celebrates transparency and connectivity. Who doesn’t want to share everything? Show everything? The Strange and Beautiful Sorrow of Ava Lavender by Leslye Walton (Walker Books). Ava is born with wings. The world thinks she is an angel, but Ava is just a teenage girl. She wants love and friends and life just like everyone else’s. But with a family like hers chance of a happy heart is slim. Magic Realism, unrequited love and a yellow canary. The Good Luck Of Right Now by Matthew Quick (Picador) When Bartholomew’s mother dies he finds a form letter from Richard Gere. Ha begins corresponding with him. Add a drunken priest, a Girlbrarian, her weird brother and a trip to Cat Parliament. Beautiful. Don’t Stand So Close by Luana Lewis (Bantam Press). Stella hasn’t left her house in three years. Her last case left her broken, but when a teenage girl arrives on her doorstep in the middle of a snow storm she has to let her in. Why does this girl know so much about her? And about her husband? Fangirl by Robin Rowell (Macmillan). Cath is abandoned by her identical twin and finds herself in the unfamiliar daunting world of college. She lives for the fanfiction she writes, but then she meets Levi and he convinces there might be more to life than rewriting someone else’s story. I’m Not Your Weekend Special by Bongani Madondo (Picador Africa). This multi-viewpoint bio brought the legend that was Brenda Fassie back to life in a vivid way – she was so much more than just her music. Birdseye by Maire Fisher (Umuzi), showed a deft storyteller’s touch in bringing a family saga, mystery and coming of age story to life in an evocative South African setting. Dodger’s Guide to London by Terry Pratchett (Doubleday). It brought Victorian London to life in an idiosyncratic, visual way – showing the humanity and fun under the grime and poverty. The Mammoth Book of Shark Attacks edited by Alex MacCormick and Rod Green (Robinson). This is a book you shouldn’t enjoy but can’t put down – it’s like mainlining vicarious and horrific reality TV. 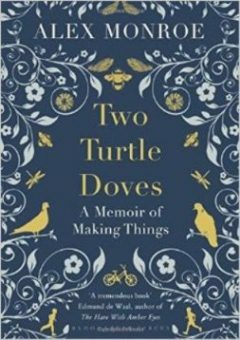 Two Turtle Doves: A Memoir of Making Things by Alex Monroe (Bloomsbury Circus). My favourite book of the year. It’s all about beauty and a childhood in England. Jewellery designer Munroe describes where he finds inspiration and how he creates his collections. The Investigation by Jung-Myung Lee (Macmillan). This brilliant mystery novel, inspired by the story of Korean dissident poet Yun Dong-ju, is a lyrical page-turner, full of poetry and references to western literature. It is about a murdered Japanese prison guard, found with a poem in his pocket and a young warden who grew up in the bookshop of his mother. It reminded me of The Shadow of the Wind and The Kite Runner. Highly recommended. And Then Came Paulette by Barbara Constantine (Quercus). This is a lovely, light-hearted read about a widower who opens his house and heart to new occupants. A feel good story of an almost perfect world. A History of Loneliness by John Boyne (Random House). The author most known for The Boy In The Striped Pyjamas, has written a stark and unsettling book about guilt and self-deceit. It is about the exploitation of power and corruption in the Catholic Church and the consequences of one man’s silence and his inability to act. The Children Act by Ian McEwan (Jonathan Cape). As a big fan of Ian McEwan I consider this as one of his best books. It’s about the moral dilemmas a High Court judge faces, from a decision to operate on a Siamese twin, with the inevitable result of one of the twins dying, to a case where a seventeen-year-old Jehovah’s Witness boy has leukaemia, but because of his and his parents’ religious believes he is refusing a blood transfusion that could save his life. The unexpected twist makes this a memorable book. 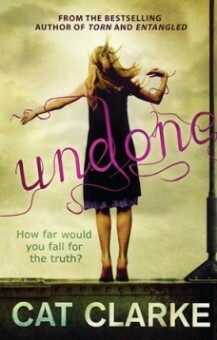 Undone by Cat Clarke (Quercus). This is my favourite book of 2014 because it is thrilling and romantic and funny and mysterious all at the same time. The cherry on top of the cake was the unexpected ending that left me jaw-dropped and thinking about the book for weeks to come. Stay Where You Are And Then Leave by John Boyne (Doubleday). I loved this book because it portrayed what the war was like for so many different characters. John Boyne is a marvellous writer; especially how he captured the emotions of wars from innocent people. It was beautifully written, and it summed up the devastation of that time in the eyes of a small young boy named Elfie, who I will never forget. Geek Girl by Holly Smale (Harper Teen). This is on my list of favourite books because it was enjoyable and relaxing to read. It was funny, and it showed life through a character’s eyes in such a way that I can relate to how she feels and how she reacts to the situations. The author made perfect use of detail and “cliff-hangers”. My Best Friend and Other Enemies by Catherine Wilkins (Nosy Crow). This was a fantastic book because it was so relatable. I loved the characters and the plot, and the story was easy to read, yet difficult to put down. Double Crossing by Richard Platt (Walker Books). I loved this book because it was packed full of action and mystery, and every decision made by the characters was completely unexpected by the reader, making the book even more exciting. 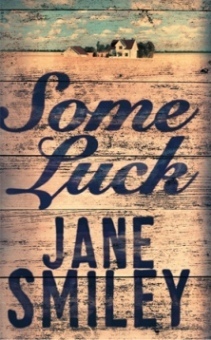 Some Luck by Jane Smiley (Mantle). I loved this book because it transported me into the olden days in rural America and into the characters’ lives so completely that I lost all awareness of the fact that I was reading a book. Eyrie by Tom Winton (Picador). This book was a surprise favourite, chosen because its haunting story of failed lives and their redeeming features has stayed with me long after the book has gathered dust. The Crazy Life of Larry Jo by Joanne Jowell (Macmillan). This fascinating, heart-rending biographical glimpse into the true rags-to-riches experiences of a musician growing up in a Cape Coloured community left me re-thinking many issues and downloading tracks of his music. A Ghost at the Door by Michael Dobbs (Simon & Schuster). 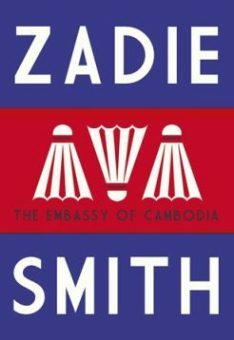 This political thriller proved as intriguing as Michael Dobbs’s well-known story, House of Cards, a favourite television series. Bones Never Lie by Kathy Reichs (William Heineman). As a long-time Kathy Reichs reader, I could not resist this satisfying page-turner and was not disappointed. 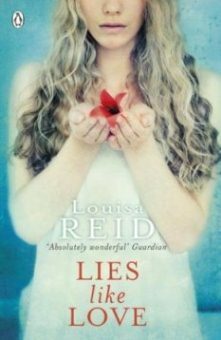 Lies Like Love by Louisa Reid (Penguin). This is an engaging, harrowing, insightful simply written story telling how a mother would sacrifice her daughter for her own sick needs. The Long Shadow by Liza Maryland (Atria/Emily Bestler Books). The reader is drawn into the protagonist’s story as though you feel her every move. The Miniaturist by Jessie Burton(Picador) . The story has a magical haunting quality which is entrancing, nudging you on for more. Sister Moon by Kirsten Miller (Umuzi). Miller is a poetic writer with beautiful descriptions of places and feelings. Five Lives At Noon by Brent Meersman (Missing Ink). The novel feels like a documentary, describing truths while enhancing the story through its characters. 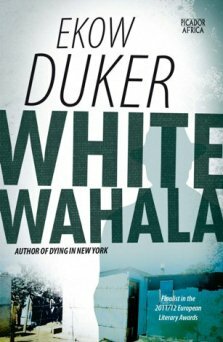 White Wahala by Ekow Duker (Picador Africa). Set in the township of Scottsville Soweto, this gem of a book explores the sobering differences between the different social classes in SA, which forms the backdrop for our anti-hero Cash Tshabalala. Meatspace by Nikesh Shukla (The Friday Project). A sharp and enthralling story about a young man living in the UK and his obsession with social media. The Farm by Tom Rob Smith (Simon & Schuster). The book is a fast-paced page-turner that will mess with your mind. Who is Daniel to believe? Is his mom simply being paranoid, or is his dad really involved in some dodgy dealings. The Vacationers by Emma Straub (Picador). A holiday in Mallorca, Spain. What could be more fabulous? Unfortunately like all good intentions, a well-deserved holiday with family and friends never goes quite as planned. And if not for the drama and mini-melt downs that always occur on such occasions, life would be a beach as they say. Of Cops & Robbers by Mike Nicol (Umuzi). I adored this book. The characters are vivid and the story relatable. Set in Cape Town we follow the trail of Private Investigator Fish Pescado. When he’s not hot on the trails of a corrupt government official, he can be found out in the bay catching waves. 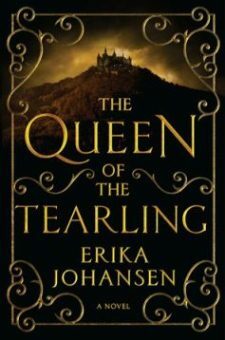 The Queen Of The Tearling by Erika Johansen (Bantam Press). Enthralling heroine and an exciting storyline. Invisible by James Patterson(Century). This thriller about ‘accidental fires’ will keep you awake at night. Call it like it is by Jonathan Kaplan. South Africa’s best-loved referee tells his story and provides different insights to the game of rugby. Raven’s Gate by Anthony Horowitz (Walker Books). The beginning of a bigger story about magic and a strange town. A Song of Ice and Fire by George R.R. Martin. I found myself trawling the bookshelves for something exciting, something that would have me reading into the wee hours of the morning. The series had me captivated although they were not new releases. 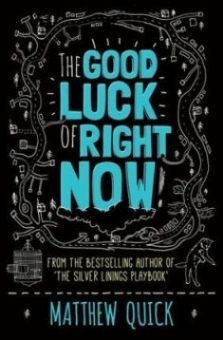 The Good Luck of Right Now by Mathew Quick (Picador). Everyone needs a Cat Parliament to run to from time to time. Raising Steam by Terry Pratchett (Doubleday). Rail roads, politics and magic all on the back of a world-sized turtle hurtling through space. Fool’s Assassin by Robin Hobb (Harper Voyager). Reading Robin Hobb is like sitting back and relaxing in your favourite chair; bad for your neck but you do it anyway. 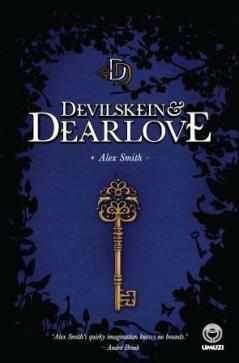 Devilskein & Dearlove by Alex Smith (Umuzi). Set on Cape Town’s Long Street, Alex Smith’s book is classed as a young adult fantasy, but it will be appreciated by anyone over the age of 12. Alex’s writing is playful and enchanting with multiple twists that keep the reader intoxicated. A sequel would be a good idea. What I know for sure by Oprah Winfrey (Macmillan). This highly inspirational book is a keepsake, meant to be picked up at any time for a little nourishment and remembrance about who you are and what you want to become. Reasons my kid is crying by Greg Pembroke (Boxtree). This is an easy read. As the mom of a baby girl, I wait in anticipation for the ‘snot en trane’ that will fill the walls of my home one day. It is also good to know that you are not the only parent whose child ‘loses it’ over the smallest things. 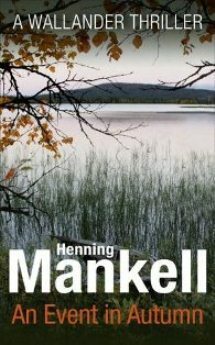 An Event in Autumn by Henning Mankell (Harvill Secker). 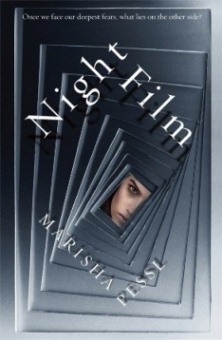 Mankell is a master of suspense and never fails to provide a riveting story with surprising sub-plots. Want you Dead by Peter James (Macmillan) – I was pleasantly surprised by the high quality of the book despite the alarmingly poor book cover. The Andalucian Friend by Alexander Soderberg (Harvill Secker). An international crime thriller that enthralled me from start to finish. Old Nectar –A garden for all seasons by Una van der Spuy (Jacana). A beautifully illustrated meander of a beautiful garden, written by a warm, wise and irrepressible 97-year old lady. Feeding Frenzy by Paul McMahon(Profile Books). A serious and heavy read about an important topic. 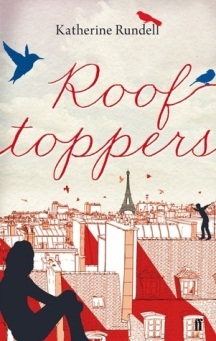 Roof Toppers by Katherine Rundell, for sheer imagination, simple yet sophisticated story-telling, sensual language, and memorable, heart-warming characters. The Skinner’s Revenge by Chris Karsten, for its local Jo’burg setting, psychologically thrilling plot, and meticulous historical research. Plus, it’s a trilogy! Original Skin by David Mark (Quercus), for characters whose dialogues brings them to life, and complex plots that immerse us in underworlds of sexual deviance, tattoos, gypsies, politics and police. How a Gunman Says Goodbye by Malcolm Mackay (Mantle), for masterfully creating empathy for a hardened old hit-man and thus contributing to the Tartan Noir Scottish crime fiction genre. Cold Killing by Luke Delaney (Harper Collins), for being a whodunit that combines fascinating police procedurals and psychology, with a lovable, endearing hero and a complex, baffling antagonist. 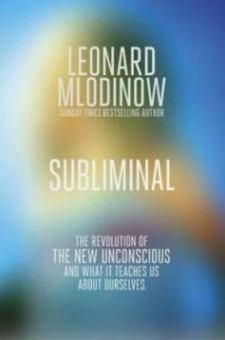 Subliminal by Leonard Mlodinow (Penguin). Insightful, beautifully researched and referenced with charity, I have been quoting concepts and ideas showcased in this book both in social and business contexts all year. by Stephen May (Bloomsbury). Such economical yet lyrical use of words that delivered maximum impact laced with mystery. by Emma Sadleir (Penguin). A long time coming, a valuable narrative with useful bite-size information about a very real phenomenon that has become the world in which our lives play out. An excellent book that I have read recently is The 18th Variation by the author John van den Berg.